This July 15, 2017, file photo shows Oprah Winfrey at a presentation for "A Wrinkle in Time" at Disney's D23 EXPO 2017 in Anaheim, California. 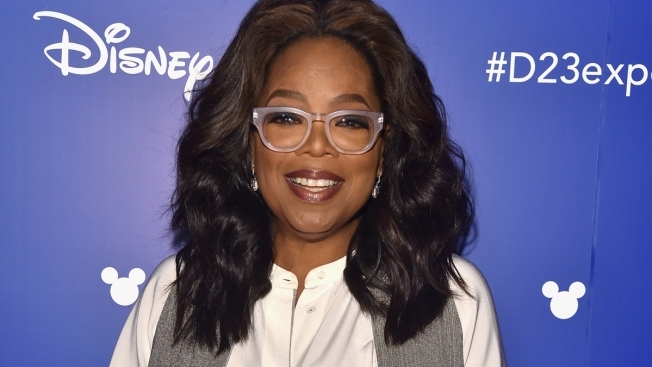 At 63, Oprah Winfrey isn't apologizing for anything, especially her weight. The media mogul and former talk show host tells Vogue magazine that the high-profile fluctuations in her weight over the years were "a physical, spiritual, emotional burden" for her. But she says that when you hit 60, there are no more apologies. Winfrey also discussed the 2011 end of her talk show. She says she misses her connection to the audience, but knew it was time to end the show because the way people consume media was changing. Winfrey opened up about her relationship with longtime partner Stedman Graham. She says if she and Graham had married long ago, they wouldn't be together. She explains that she wouldn't have been able to fit into a traditional marriage role.